"Alright, I'll give. Just don't review that Albert Pyun film. That's all I ask." Even the simplest of superhero sequels can be its own kind of hell. Sagas about superhero teams are even easier to screw up. At worst, they end up looking like an amateur plate-spinning performance at some lame high school talent show. Ultimate Avengers 2 isn’t quite that bad…but it’s verging on territory the Fantastic Four films would explore at length to their (and our) eternal detriment. 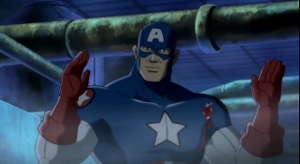 For thirty minutes Ultimate Avengers 2 held me. Then it all fell apart in the act of wrapping itself up. There’s some irony in there somewhere. 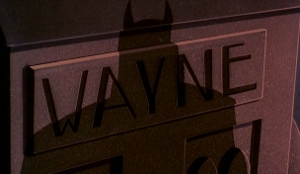 It's the shadow of the Bat. This is more than a good movie: it’s the movie I watch at least once a year to remind myself why I watch movies. Produced by the same writers, directors, composers and cast as Batman: The Animated Series, Mask of the Phantasm is not only the best superhero movie of the 1990s, its easily the gold standard by which to judge all subsequent superhero films.